Ipoh is a wonderful travel destination worthy of at least a night’s stay. For too long, people have been making Ipoh a stop along the way (to Penang) and not a destination on its own. Now that we’ve given you a reason to explore more of Ipoh than just the old town neighbourhood, you’re going to need to check in to one of these boutique hotels in Ipoh. Are you the sort of traveller who enjoys living within the bustle of the main town area or one that prefers to return to an idyllic surrounding? Good news for you — we’ve listed both types of boutique hotels in Ipoh. 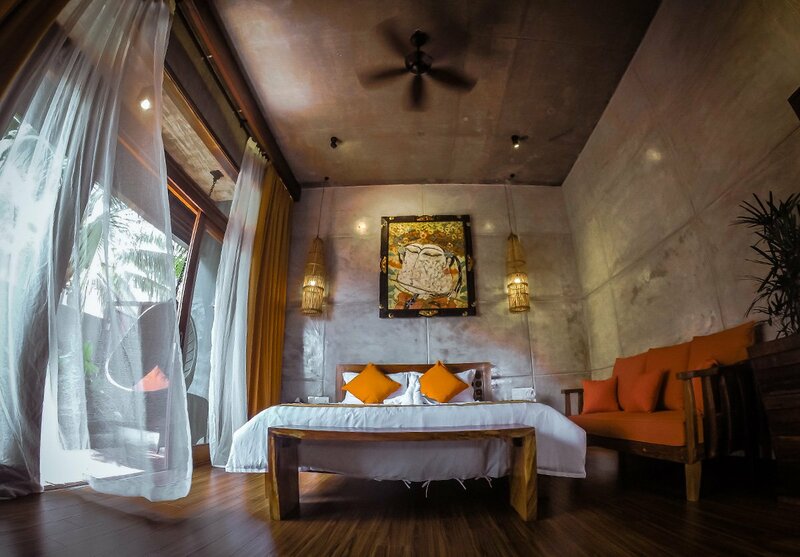 Places like Sekeping Kong Heng (which is right beside the famous egg custard coffee shop) and M Boutique Ipoh are right within the main areas of activity, while boutique hotels such as The Happy 8 Retreat and Ipoh Bali Hotel are a little ways away. No matter your preference, one thing is for sure — these boutique hotels have their own character, which you will come to appreciate during your stay there. Now that you’re staying the night, why don’t you hit up these night joints for a spot of beer? 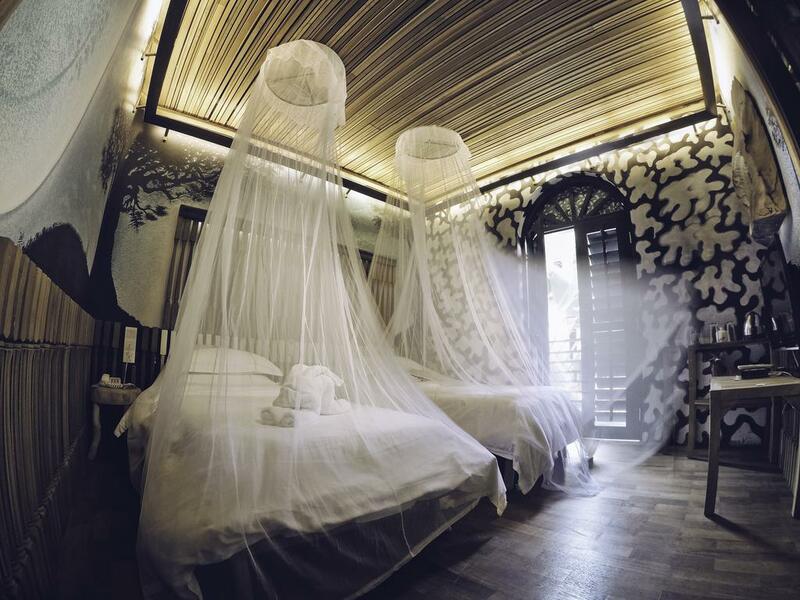 As its name suggests, the hotel’s interior is inspired by the Balinese culture. Indeed, rolling up to the hotel you’ll be greeted by a wooden-teak-and-brick building, housing a gorgeous boutique hotel filled with rustic wooden furnishing and plant features. The hotel is airy and calming, its numerous water features giving you a sense of peace you’d never thought possible after braving traffic to get to Ipoh. Most of the decorations you see in the 12 rooms of the hotel are brought over from Bali, including the cute elephant-shaped door knobs. 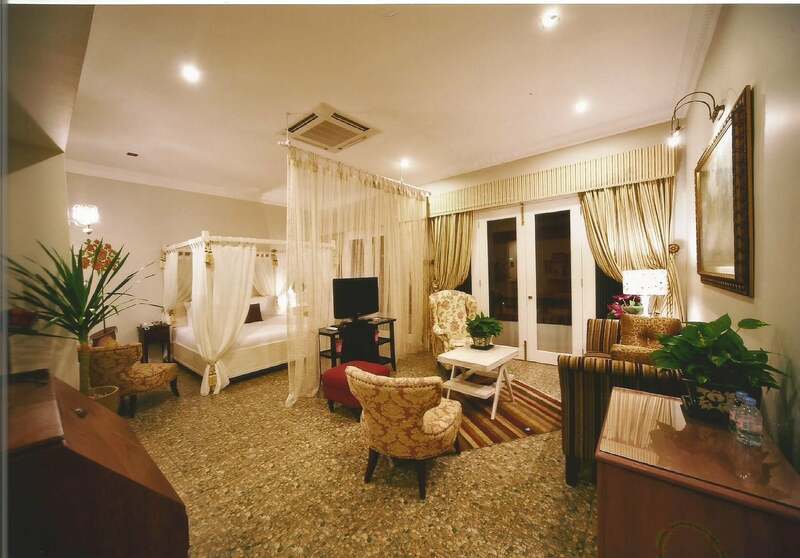 Ipoh Bali Hotel, 12, Lorong Cheah Cheang Lim, 30350 Ipoh, Perak, +605-242 0222. The interior of The Happy 8 does not go by a specific theme, but its result is thanks to the staff’s own creativity of bouncing off ideas on how to decorate the rooms. 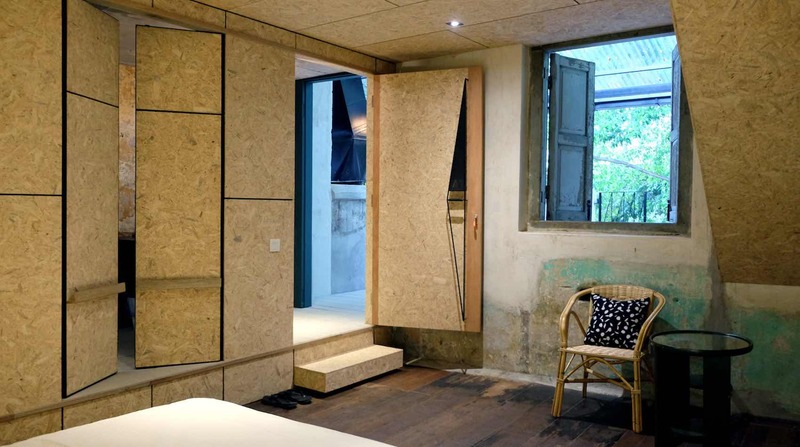 Wooden elements can be seen throughout the boutique hotel, most of them being repurposed wood. Even the bathtub is made out of repurposed wood. It certainly gives guests a sense of nature within the city. The Happy 8 Retreat, 8, Jalan Shah Bandar, Taman Happy, 31650 Ipoh, Perak. From creating industrial and minimal retreats in Negeri Sembilan and Klang Valley, the Sekeping brand name has also expanded to Ipoh with Sekeping Kong Heng. If its name sounds familiar, that’s because the boutique hotel is right beside the famous Kong Heng coffee shop that sells egg custard, pork satay, and popiah. As with its other Sekeping branches, Sekeping Kong Heng also takes on the same minimal industrial look with plenty of exposed concrete, rustic decor, and bits of old-timey string furniture. Sekeping Kong Heng, 74, Jalan Bandar Timah, 30000 Ipoh, Perak, +6012-227 2745. M Boutique is one of the more aesthetically-pleasing boutique hotels to open in Ipoh, and the amount of tagged pictures it has on Instagram is proof of it. This is one of the two branches in Ipoh, with this one slightly out of the main town area. 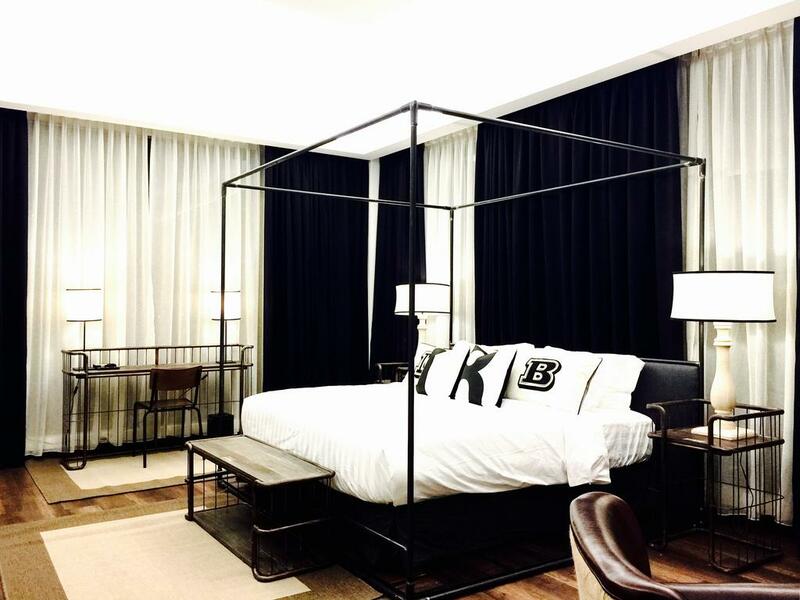 From the gorgeous lobby to its monochromatic rooms with steel pipes repurposed as open wardrobes, M Boutique is a stylish hotel to check in to. M Boutique Station 18, 15 – 23 Jalan Pengkalan Barat 35, Taman Pengkalan Jaya, Station 18, 31650 Ipoh, Perak, +605-321 1666. Unlike its Station 18 branch that has a monochromatic theme, M Boutique Ipoh (within the Ipoh town itself) has three differently themed floors for its guests to enjoy — The Adventure, The Majestic, and The Excelsior. 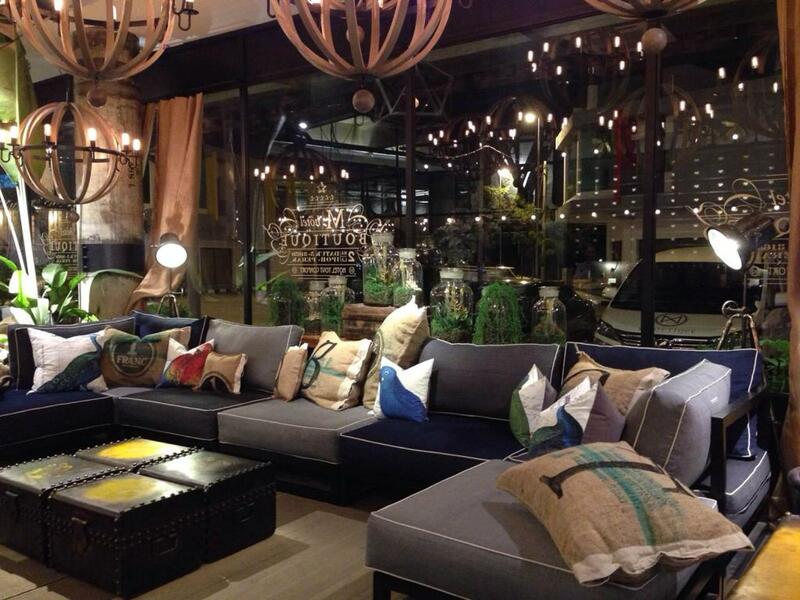 The Adventure has safari-themed furnishing, while The Majestic has a raw, industrial theme. Finally, The Excelsior takes on a colourful theme inspired by butterflies and beetles — truly something unique. M Boutique Ipoh, 2, Jalan Hala Datuk 5, 31650 Ipoh, Perak, +605-255 5566. Fancy living in a colonial style villa? Then make a booking at the Indulgence Restaurant & Living, which houses only a grand total of seven rooms. Each room has been painstakingly decorated to a particular theme: Italian, Chinoiserie, Thai, Rococo, English Country, Moroccan, and Contemporary. The restaurant in the same hotel is not too shabby as well, having won several accolades being helmed by chef Julie Song. Indulgence Restaurant & Living, 14, Jalan Raja Dihilir, 30350 Ipoh, Perak, +605-255 7051.